Buenavista is a well known complex with a great location, close to the shops, bars and restaurants of San Eugenio and on easy walking distance from the best beaches, Puerto Colon Marina and the Costa Adeje Clinic. The Siam Park is also within easy walking distance. Here we are pleased to be able to offer a lovely 2 bedroom, 2 bathroom apartment for sale. The apartment consists of 2 bedrooms, 2 bathrooms - one of which is en-suite, American style kitchen and a large lounge / dining room with marble floors. There is a large terrace with spectacular views over the coast, sea and mountains. There is plenty of secure parking on the complex. Armeñime is a Canarian village on the coastal road from Adeje to Los Gigantes. The road passes on the edge of the town so you may well have driven past without realising it. There is a selection of shops, bars and restaurants to choose from as well as a local school. For sale we are pleased to offer something different for the area, namely a detached villa with its own private swimming pool. The property stands in grounds of 1.000 m2 and has been built to an extremely high standard. It is also sold furnished and both the fixtures, fittings and furniture are of very high quality. Majority of the furniture are German. The property consists of 3 bedrooms, 2 bathrooms, 1 dressing room, toilets, 2 fully fitted kitchens, lounge, terrace and gardens, underground parking and store room. Sold with many extras, for example, solar panels. 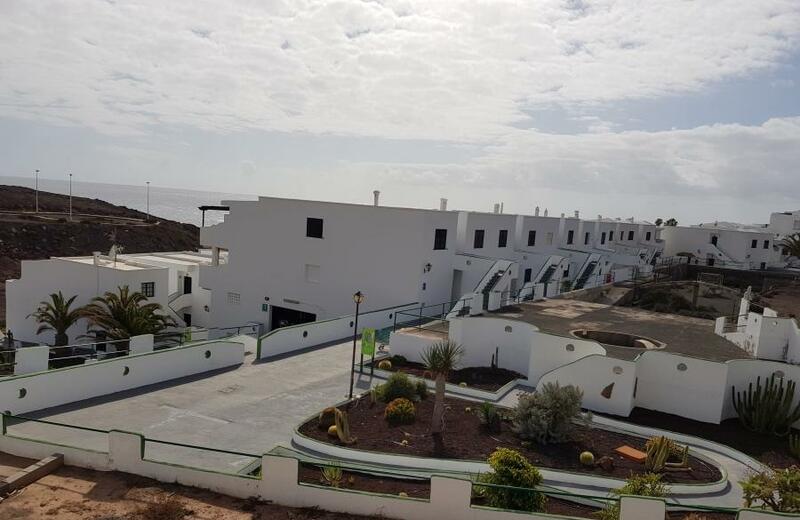 Mesetas Del Mar is an exclusive development of 23 independent chalets located in the new residential area of Los Cristianos. This is a gated complex with each property having its own individual pool and electric gates to a covered driveway. Here we are delighted to be able to offer a detached villa built on a corner plot, comprising of four bedrooms three bathrooms, a separate kitchen fitted with ceramic hob, extractor fan, oven, microwave, fridge freezer and dishwasher. The lounge is spacious with lots of light. 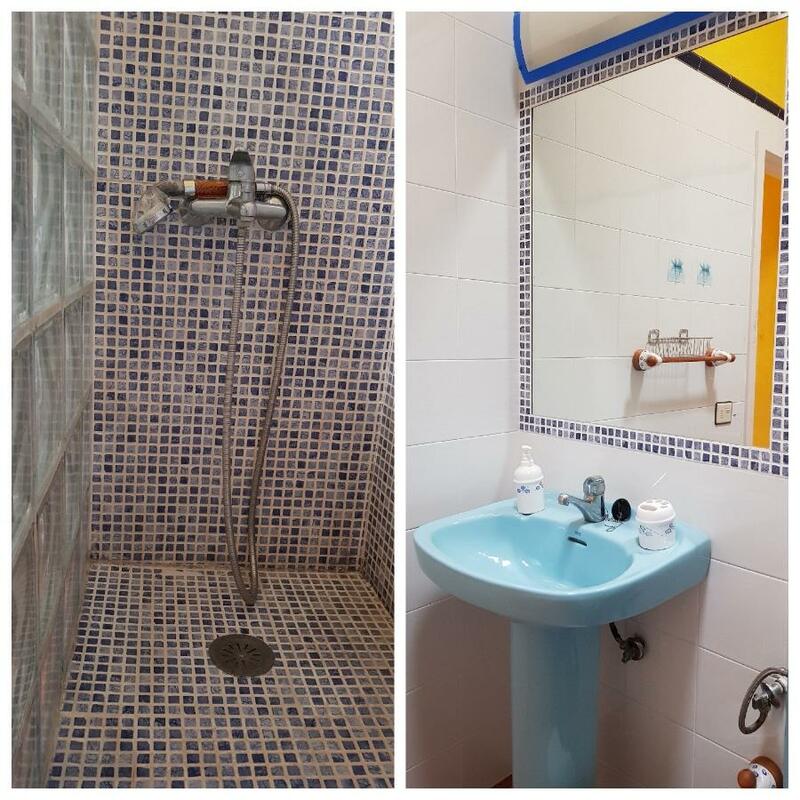 There is also a basement with a separate entrance that can be used for a variety of purposes such as an apartment or gymnasium. 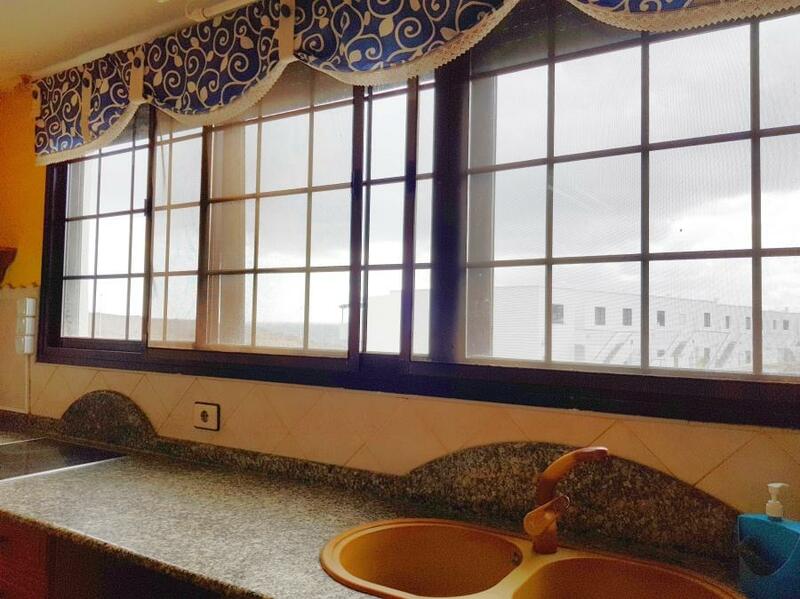 All the materials for this property are of the highest quality and include such things as electric shutters and air-conditioning. Sea views are just an added bonus to a superb property. One bedroom and 1 bathroom apartment of 52m2 with an 8m2 terrace overlooking the community gardens. 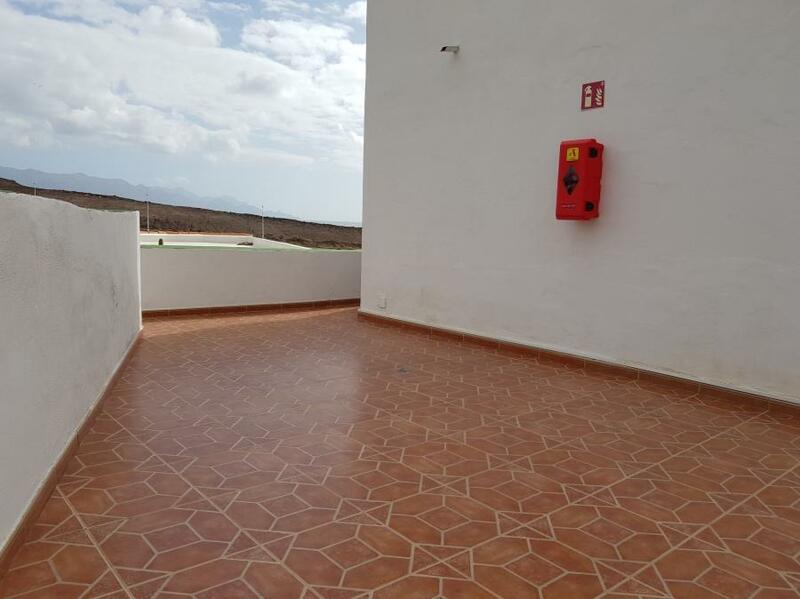 Complex with community swimming pool, located in the Costa del Silencio, which is just a short walk from the authentic stone beach and local fish market in Las Galletas. Old Canarian house, which has been extended and modernised but still retaining its rustic character, situated in Cruz de Tea; a pretty village just above Granadilla. 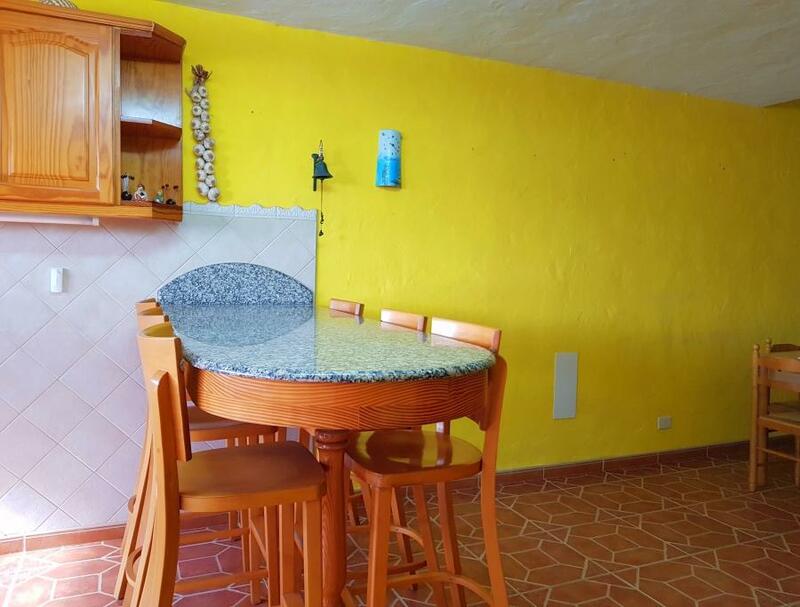 This property is part of a working finca of 8.900 m2 filled with fruit trees of various types and at the back of the house there is a large area devoted to chickens and ducks with their own pool. The house consists of 3 / 4 bedrooms, 2 beautiful bathrooms, large lounge, fully fitted kitchen, separate snug area, cloakroom and a conservatory. There is a very attractive pool area and terrace facing South, large garage, wine room, and other storage areas. 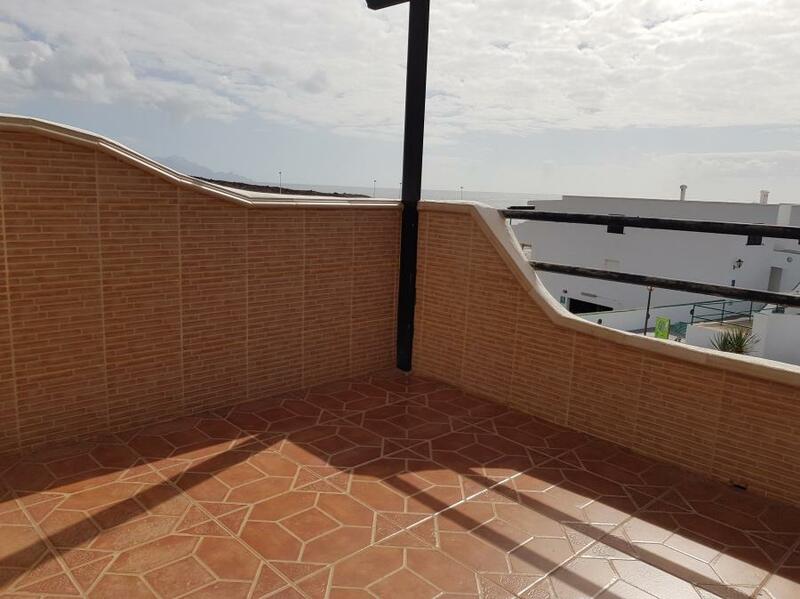 Camison Area, Playa de las Americas Spacious 2 bedroom apartment, 5 minutes walk to the beach.Property is built with quality materials & marble flooring. Good size bathroom, fully fitted kitchen, a bright & airy living room with glassed terrace. Both master bedroom & kitchen access to a terrace with beautiful views to the gardens. Complex is well maintained & has a large communal pool. Sold fully furnished. Playa de las Americas. Spacious two bedroom apartment with 80m2. Two bathrooms, living /dining area, fitted kitchen. Leading off from the living room there is a large sunny terrace with a BBQ. Master bedroom has a terrace & other has a balcony. Complex is well maintained with communal swimming pool & gardens. Central location. Community fees per month. € 70. Sold furnished. 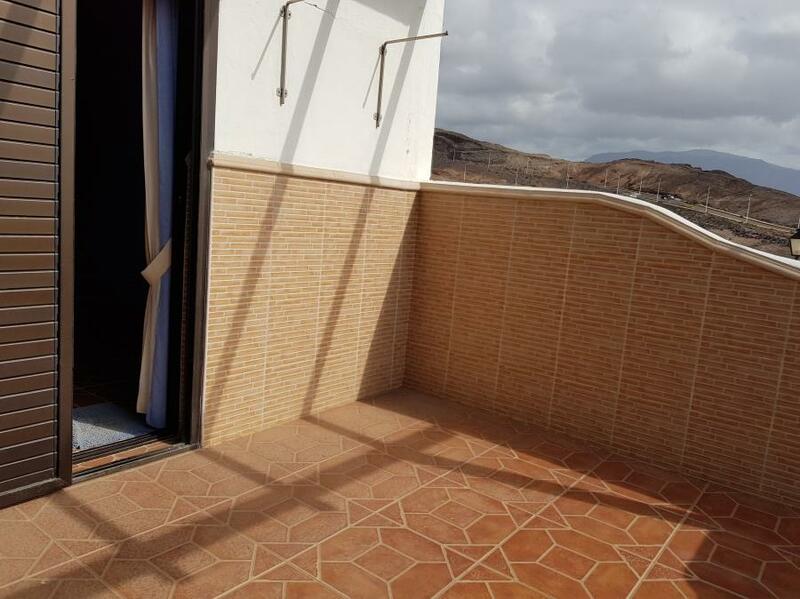 FIRST LINE - Two bedroomed corner apartment with amazing sea views in the popular complex of Maravilla in Costa del Silencio. Las Paredes, Cruz de Tea, Granadilla de Abona. 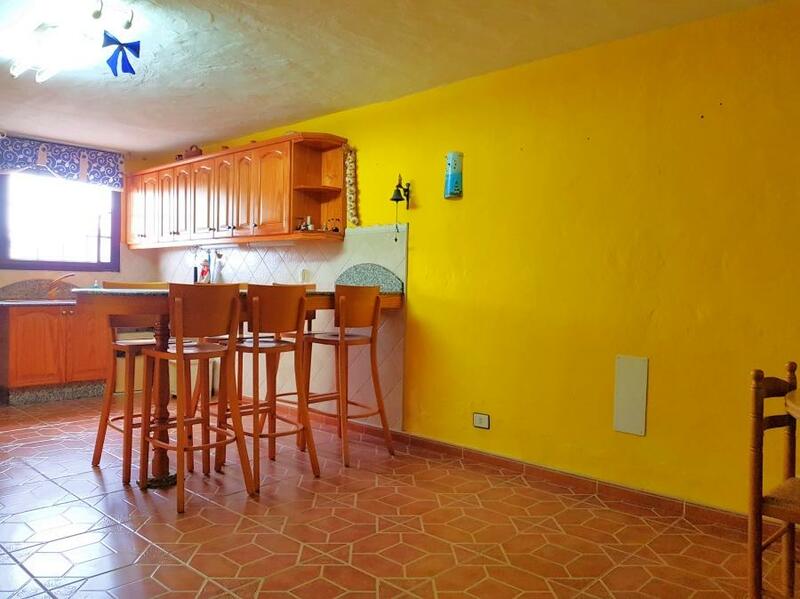 Rustic finca with house on 5.000m2 of land, consists of 2 bedrooms, one full bathrooms, kitchen, House is 60m2 + extention( not on escritura) House was built in 1998. Water tank. 940meters ove sea level, Orchards with fruit trees already producing . 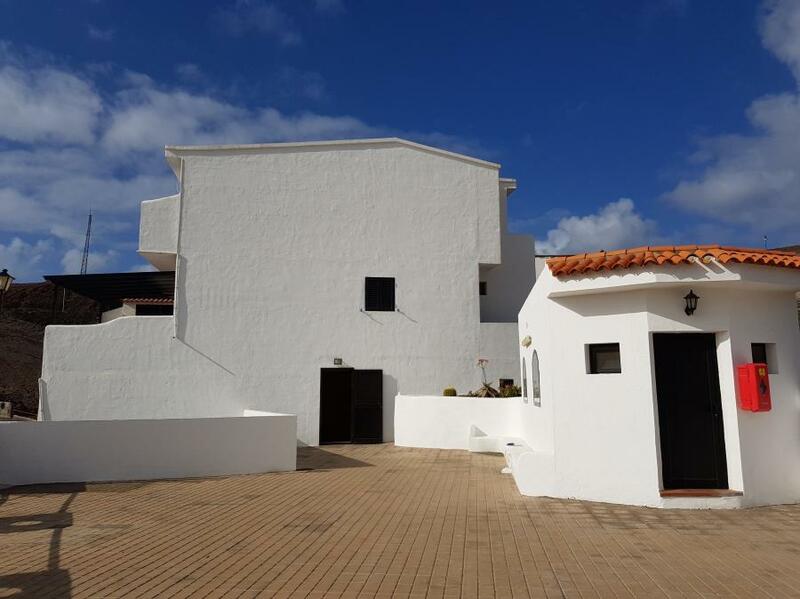 Residencial Mariben, Callao Salvaje Beautifull detached villa with 3 bedrooms + 4 bathrooms on 200m2. Built on 3 levels, Entrance hall, lounge/dining room, fully fitted & equipped kitchen, doors leading out out to spacious terrace are with excellent views. Lower level is an spacious studio area with shower room. Large integral garage with additional space for washing area & separate workshop. Complex has a heated pool & tennis court, children area/pool, gated complex. Guia de Isora. Three bedroom town house on two floors, two bathrooms, roof terrace+garden. Easy to convert in two properties. 225m2 constructed + 90m2 of roof terrace. Ground floor has its own private entrance, cloak room + storeroom. Top floor has three bedrooms, lounge /dining room, bathroom, kitchen & terrace. 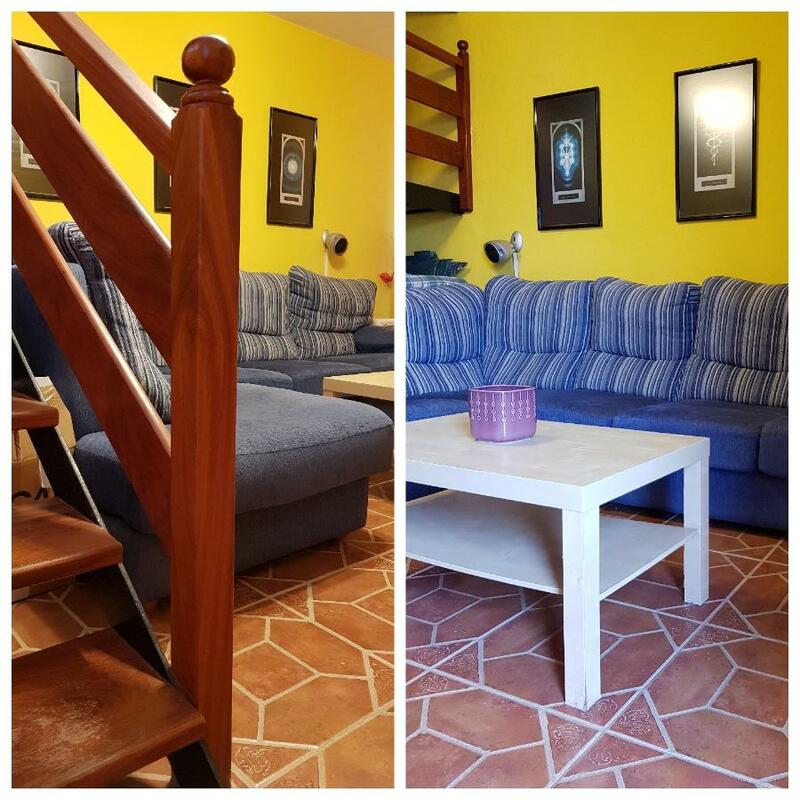 Roof terrace has a washroom, solarium with fantastic views to the mountains & La Gomera. Very central location & very bright property. Very nice villa in La Florida situated in a dead end street surrounded by a beautiful garden in a very quiet area. Three bedrooms on the ground floor and 2 bed on the first floor with big lounge, dining area, kitchen and 2 big terraces. 1 car fits in the garage and 2 outside in the gated front patio. 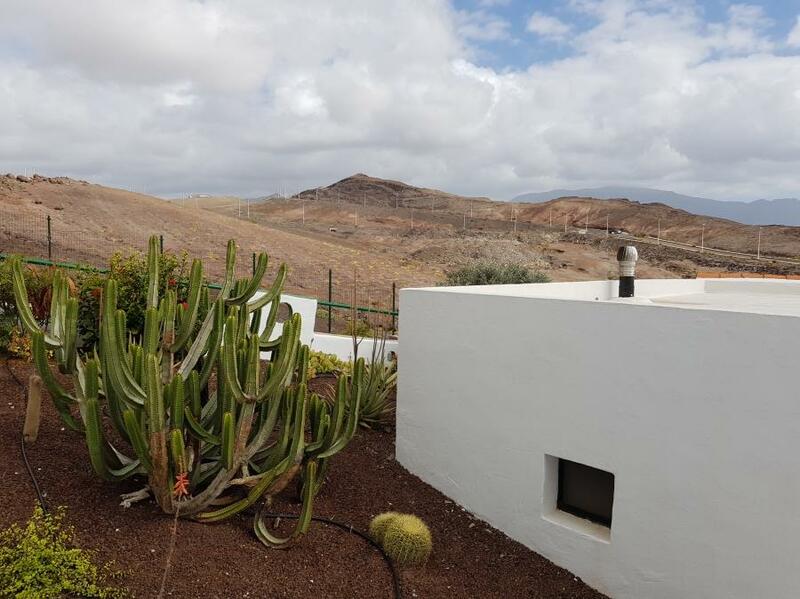 The villa is 1 km away from Valle san Lorenzo and 5 km from Los Cristianos. 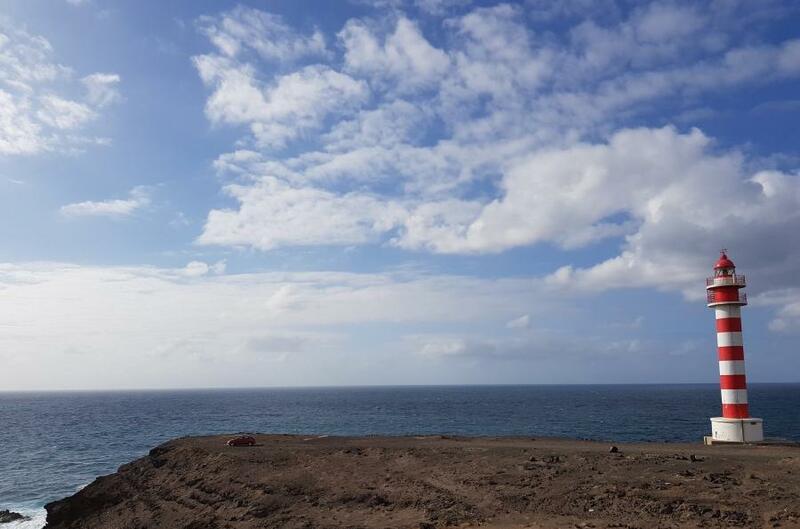 Adeje is a beautiful municipal town in the south of the island, with all kind of services and is also a much sought after location by residents of the island as it lies within easy reach to the tourist areas for both work & play! We are pleased to offer for sale a brand new luxurious villa consisting of 4 bedrooms, 3 bathrooms, kitchen (not equipped), lounge, terraces with panoramic sea and mountain, garden, private swimming pool, elevator and 3 car garage. Callao Salvaje. Lovely modern decorated villa located close to local amenities in a quiet residential area with view to the ocean. South facing. Built on a 404m2 plot, it has a total of 155m2 distributed over 2 levels. Large living/dining room, fully fitted & equipped separate kitchen, 2 bathrooms & large bedrooms, very large terrace. Lots of outside space, private pool. BBQ area, a laundry room & workshop & garage. 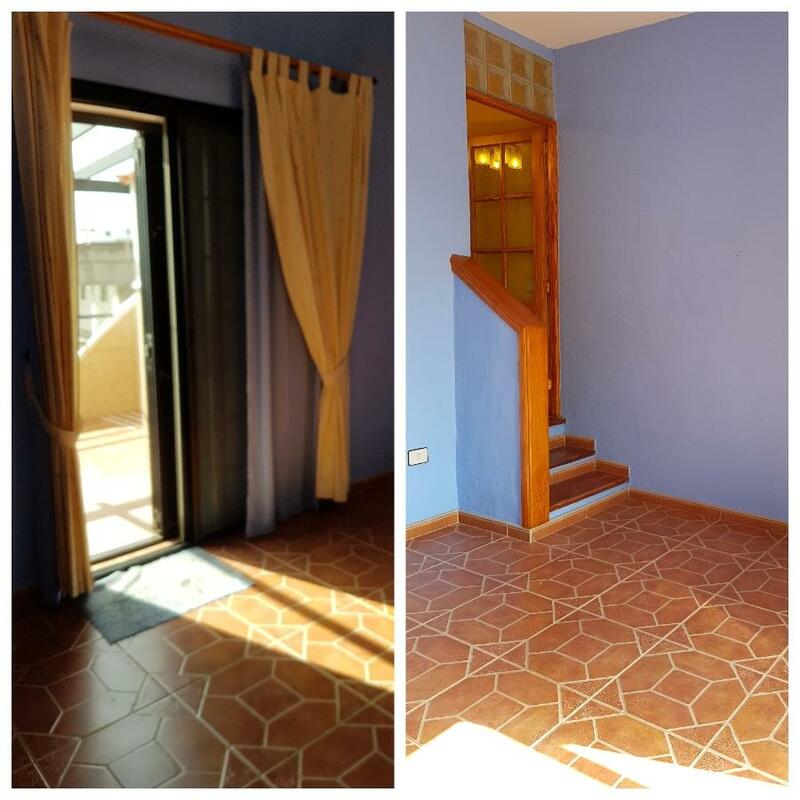 Granadilla center; Here we have for sale a spacious apartment with two bedrooms, living room, kitchen and two bathrooms. It also comes with a large store room (36 m2). It has been completely renovated, and it overlooks the countryside, sea and the mountains. This property is located in a quiet area and gets plenty of light. Be the first one to see: create an alert on new properties in Canary Islands and you'll receive new offers by email. 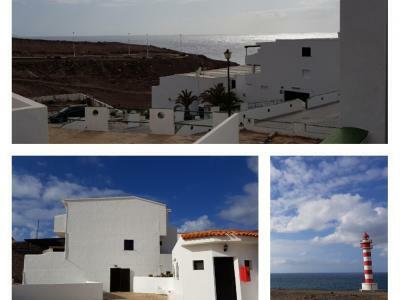 Turn to the experts: contact real estate agencies in Canary Islands.